I tried to get my DG8SAQ-VNWA working on my Linux laptop in the Virtualbox WinXP machine. Unfortunately i found that there seem to be a lot of problems with loosing samples of USB sound devices within Virtualbox. This problem is reported at several points. For the VNWA this means it is not possible to calibrate the samplerate. Loosing samples means noisy traces and not doing proper measurements at all. In the Yahoo group it was reported that it works under VMWare. So i thought i give VMWare a chance. Some information in the internet state that it should be relatively easy to export from Virtualbox to OVA files and import into VMWare. Unfortunately my VMWare always crashes when importing the OVA file. It seems the metainformation of the VM is not written or imported in a compatible way although this is defined in an open standard (whatever this really means). After 3 days of experiments i found a solution. Now within VMWare the audio is working and i get perfect traces from the VNWA. – export the VM using the OVA 1.0 format and write separate files (specify ovf file ending and you will get the vmdk file separate), 2.0 did not work. – use the ovftool with option for relaxing the check for errors in the ovf file, otherwise ovftool will stop because of unknown identifiers. After that i was able to boot the VM, start the software, recalibrate samplerate, calibrate, measure. The version number of Virtualbox is 4.3.6 and VMWare 6.0.1. CWSkimmer may work under Wine. To connect it to Quisk you can use the Alsa loopback device. The driver needs to be loaded, then start the skimmer. Set it to softrock (not the IF version !). You may set a LO frequency and activate the telnet server and the remote control via telnet commands. Set the Alsa loopback interface as soundcard. Set the skimmer to 48kHz sample rate and start it. The waterfall will start but will not display anything. Quisk needs to be configured to use the correct loopback soundkart for digital_in and digital_out. If this is ok start quisk and set it to digital iq mode. You can now adjust the bandwidth to maximum (21kHz) and set the AGC to off and adjust it to a good value. Now skimmer should show decoded signals within the 21kHz. If the waterfall looks like too strong audio you have most probably a wrong sample rate set in the skimmer. If you enabled the telnet server you can login with “telnet localhost 7300”. You login with your call and get something like a dx-cluster. The frequency is still relative to the LO frequency. You can now adjust the mid frequency with “skimmer/qsy “. Now the display should be absolute. Remember that its not adjusted automatically if you change the LO in Quisk. Currently its not possible to use skimmer and do CW operation with Quisk in parallel. 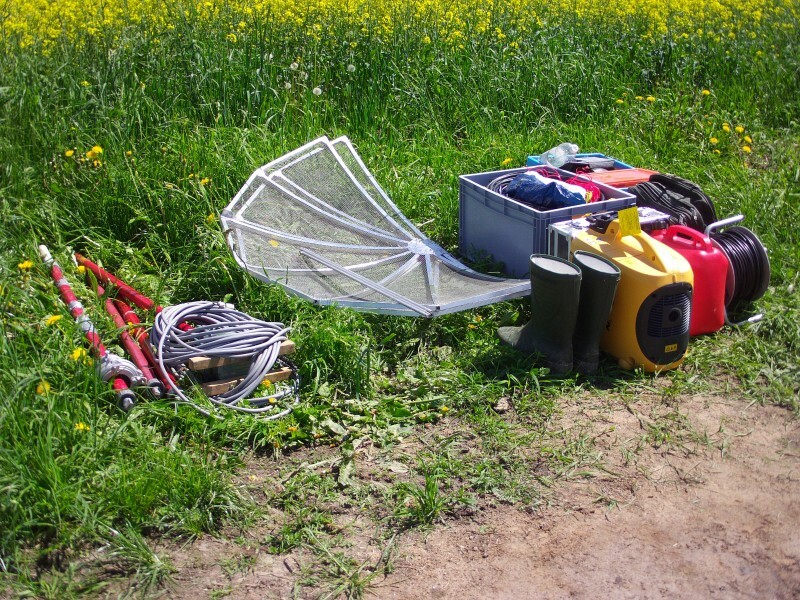 I tried to build something useful out of the equipment flying around here. My HiQSDR can now transmit in CW mode via external keying. Output power is about 10W maximum. The software is quisk which can be controlled by the very nice TLF log software via the hamlib library. TLF gets spots from the reversebeacon network to fill its bandmap which is afterwards browsable via shortkey. Quisk then tunes to the station automatically. In addition TLF can use the cwdaemon to generate CW signs via a serial port. With cwdaemon running on some embedded hardware close to the HiQSDR it would be possible to have the SDR PC somewhere just connected via the wireless network running all the control and audio remote. Find a screenshot below. The blog was off for some days because of vacation. After returning i noticed that dyndns completely discontinued the free service even for old accounts and since i did not want to pay 25$ to go back to ath.cx i decided to move to no-ip. Now the new URL will stay dh5ym.hopto.org as long as possible. Since a long time David Rowe VK5DGR works on a open-source low-rate voice codec. This project is called codec2. Now a variant of this codec is used in a amateur radio digital voice mode that was evolved out of the well known FDMDV software. The mode uses OFDM with 14 carriers DQPSK and 2 pilot carriers with twice the power modulated in DBPSK. The bandwith is 1kHz, so 2 of the signals would fit to 1 SSB channel. The datarate of the voice is 1375 Bit/s + some data bits for callsign information etc. Its intended that in the end this mode can also be used for DX connections. Lets see what live tests will bring. 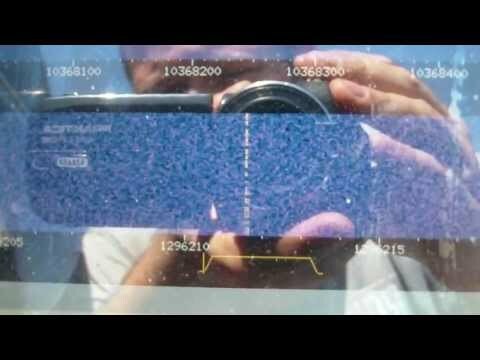 On 20m obviously the frequency 14.236MHz is used as center of gravity. For using the mode you would need either a two-soundcard PC (one for connecting a headset and one for creating the digital modulation signal) or a SDR setup with virtual soundcards. Currently a windows beta release can be downloaded as binary. For Linux you have to download the source and compile it on your own. David created a nice Makefile that downloads and compiles all dependecies. You find further information on the project page http://freedv.org/tiki-index.php. Also some videos are linked that show the operation and the audio quality of this digital mode. Last days i spend some minutes getting the RTL_TCP server running with OpenWRT Backfire on one of my WGT634U routers. These routers have a USB2 port and i can connect my NOXON DAB Stick directly. I crosscompiled the packages. The sources and a Makefile for the OpenWRT build system you can get from the Osmocom page. You definitively need libusb for getting it running. Attention: The both packages have not been added to my Packages file in the directory. So you have to copy them manually and install them to your OpenWRT. The dependencies are resolved automatically. After that you probably need to configure the firewall on the router to pass port 1234 to the outside and the RTL_TCP server needs to be started with option -a #lan-interface-ip#, otherise the server will listen to localhost only. With my WGT634U i experienced that i cannot set the samplerate to 2MSpl/s. In this case the router reboots after a few seconds. With 1MSpl/s it worked smooth so far. With running the server on a embedded system you can install the frontend at a completely different location than the client. 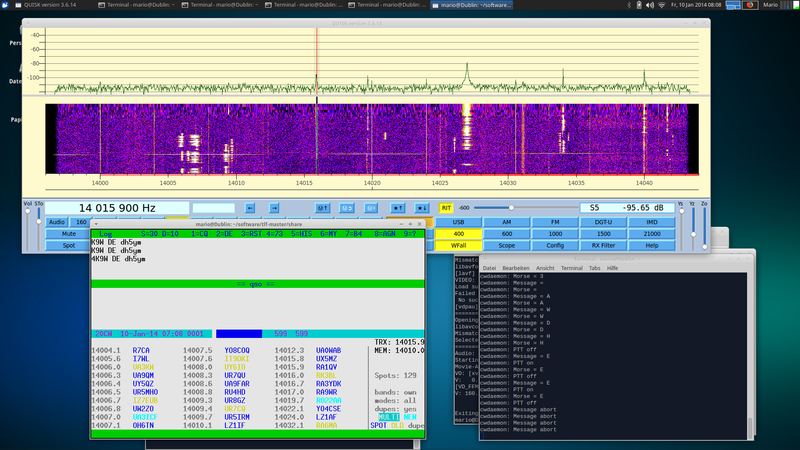 Just trying a bit with my HiQSDR frontend and Quisk together with SO2SDR. Jim implemented Rigctrl model 2 to Quisk. This makes it operate with other software like fldigi very well. 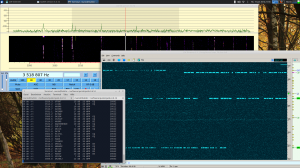 SO2SDR is a contest log with SDR bandmap and DXCluster. Worked QSO can be marked in the bandmap as well as stations spotted in the cluster. In the CQDL edition of Nov. 2012 there was an article about a SDR software called SDR# (SDRSharp). This tool can work with the cheap so called RTLSDR sticks (for example Noxon DAB sticks and others) and runs under windows and because its written in C# under linux within the mono framework as well. Because its not that easy to get the stuff running i try to document it here. Just give me a hint if something is missing or wrong. You will most probably get a warning but no errors. in the directory were your binary of SDRSharp is located. Then try again running the binary. If the GUI comes up quit it. Go to the binary Release path were your self-compiled binaries are and overwrite all files from the downloaded package by the self compiled. Also copy the symlink you created eventually. Try to run SDRSharp from the new directory. In the left top edge of the window there should be a button named „Play“. Right of this there s a selection list. There should be an entry RTL-SDR/TCP. If not download the RTLSDR files from the SDRSharp page and copy into your SDRSharp folder. After restart of the GUI the entry should be visible. I have a Noxon DAB Stick Rev1. 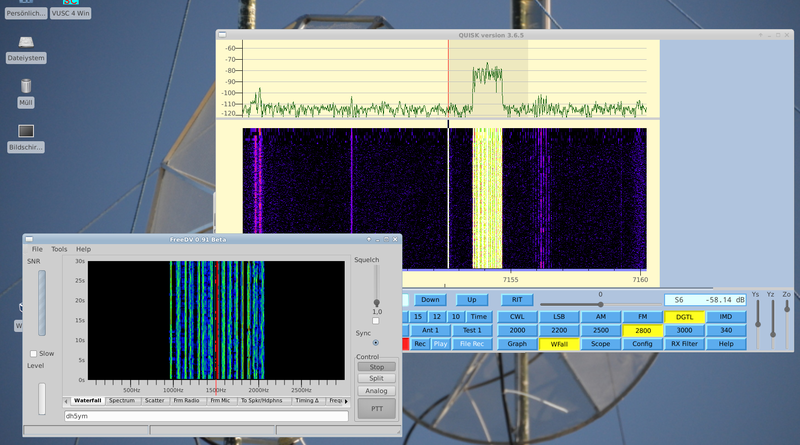 This one can be tuned between 22MHz and 1100MHz. The frequency accuracy is relatively poor. I have -51ppm offset from nominal frequency. 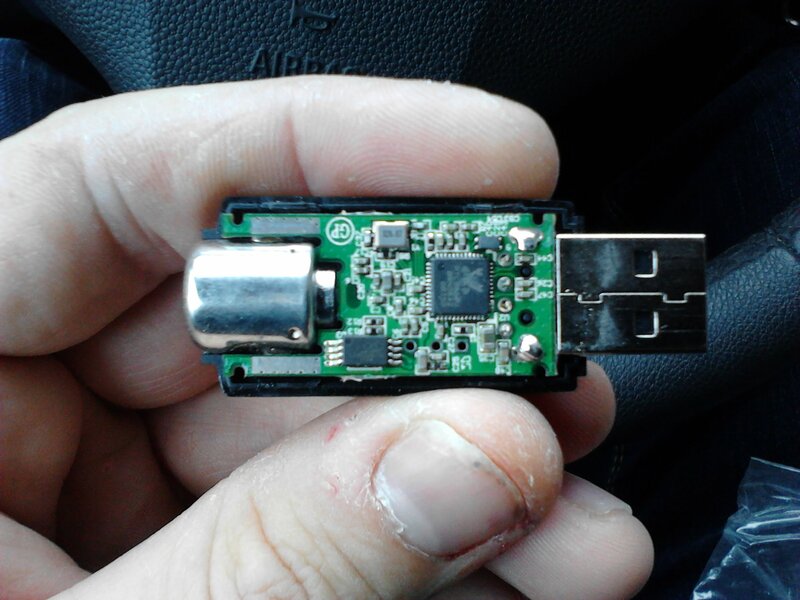 Plug the stick to the USB port, wait a few seconds, then type dmesg. On my other (Ubuntu based) PC i there get the information that some DVB-T driver get loaded automatically. [ 7116.679026] dvb-usb: found a ‚NOXON DAB/DAB+ USB dongle‘ in warm state. [ 7116.704932] dvb-usb: will pass the complete MPEG2 transport stream to the software demuxer. [ 7116.759431] fc0013: Fitipower FC0013 successfully attached. [ 7116.759951] dvb-usb: schedule remote query interval to 400 msecs. [ 7116.769919] dvb-usb: NOXON DAB/DAB+ USB dongle successfully initialized and connected. This needs to be done everytime you plug the stick to the PC in case the driver is loaded automatically. You need to reconnect the RTLSDR stick to the usb before you are able to run the server application. If that does not work start it with sudo. Then you can start SDRSharp again. In the GUI press configure and type localhost in the field „Hostname“. Keep the other settings for the moment. Press update and close the configuration window. Then you can start the reception pressing the „Play“ button. The waterfall window migh look strange. This seems to be a bug. If you rescale the window it should work (at least for a while) afterwards. 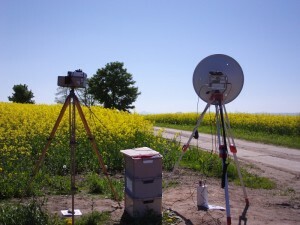 The tune frequency can be entered in the field „Center“. Attention: If you invalid frequencies the stick may hook up and you cannot tune anymore. Then you have to replug the stick and start all applications again. Unfortunately the processor load is extremely high under linux-mono. I get 100% CPU usage on a 2.4GHz AMD64 CPU. This leads to audio stutters. On my I7-2600 i get around 180% load compared to one of the 3GHz cores when decoding FM-stereo with 2MSpl/s and IQ correction switched on. You could reduce the datarate by starting the rtl_tcp server with option -s 1024000. 512kSpl/s did not work correctly at my side. 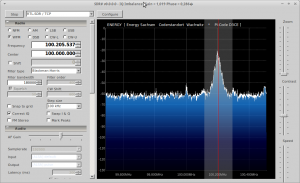 You need to set the correct rate also in the sdrsharp configuration. If it still stutters switch IQ correction and FM Stereo off to reduce the CPU load. 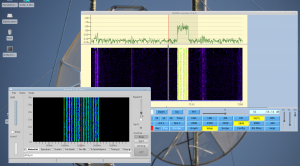 This screenshot shows SDRSharp receiving a wideband FM broadcast signal. It also features a RDS decoder. Thats it. Probably it runs smoother under windows. 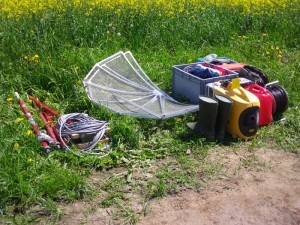 There the installation should be also a bit easier. Unfortunately i do not have any windows system available.